MotoGP privateers - Tech 3 - will end their association with Yamaha after the 2018 season concludes. 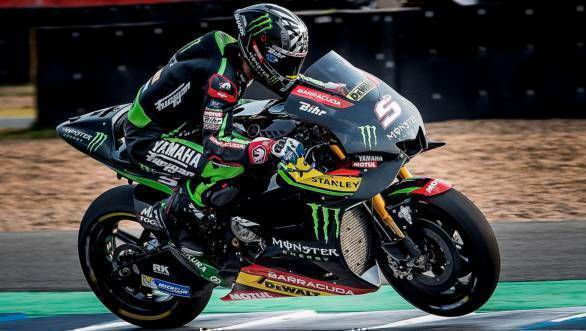 The Tech 3 team issued a statement confirming the end of the partnership, but did not confirm what manufacturer they would partner with in the 2019 season. This marks the end of a 20-year partnership between Tech 3 and Yamaha, which began in 1999. While Herve Poncharal, Tech 3 team manager, refused to go into details about the manufacturer they will tie up with starting in 2019, he did state that Tech 3 needed to consider its options and think about its future. It is, however, no secret that both Suzuki and KTM are keen on making motorcycles available to satellite teams for 2019. "Tech3 is a small company, which has to think about the future and has to weigh the different options. We've been offered a deal, that includes something we've been waiting for almost since we started with Tech3 and I couldn't say no," said Poncharal. Meanwhile, Kouichi Tsuji, General Manager Motorsports Development Division, Yamaha Motor Company and president Yamaha Motor Racing said "Very recently we were informed by Hervé Poncharal, the owner of Tech3, that he has decided not to extend his contract with Yamaha to lease YZR-M1 bikes. After discussions with Hervé it was clear that he has chosen to align with a new partner for the future and therefore, regretfully, we were obliged to respect and accept his decision." He however went on to state that Yamaha would support Tech3 for the entire 2018 season. "We will continue to provide our full support to the Tech3 team and their riders throughout the 2018 season, while we simultaneously evaluate our options for an alternative team in the MotoGP World Championship class for 2019 and beyond."